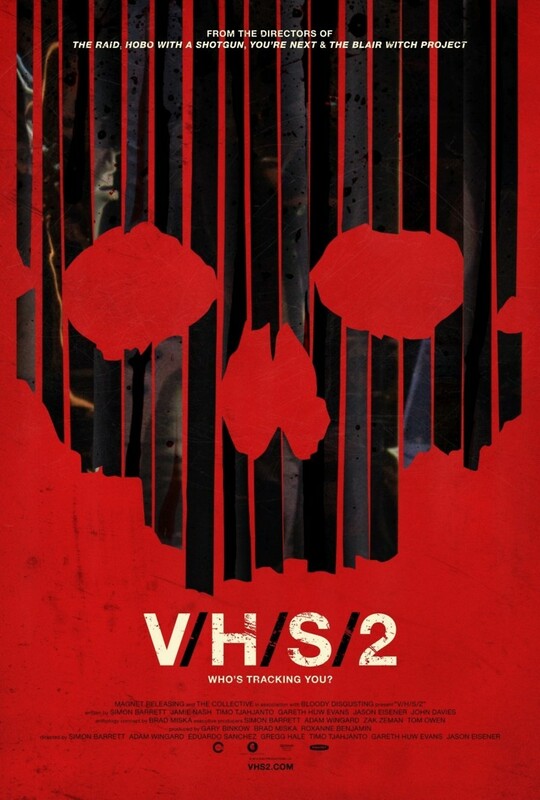 V/H/S/2 DVD and Blu-ray release date was set for September 24, 2013. Larry is a private investigator who is asked to investigate the disappearance of a college student. His mother is worried about him. Along with Larry's girlfriend, they head to the student's house. Ayesha and Larry break into the college student's home to investigate. In the home, there is a stack of televisions, many VCRs and VHS tapes. In the living room, there is also a laptop with a video that is still recording. The investigators stop the recording video and play it from the beginning where the boy is seen talking about how strange the videos are. Larry has his girlfriend stay and watch the tapes while he investigates the rest of the house. As she pops in the first video, a figure watches her from the shadows.